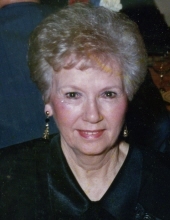 Mrs. Doris W. Holt, age 91, of Rockmart, GA passed away Tuesday, October 2, 2018 at her residence. She was born in Bartow County, GA on December 24, 1926 a daughter of James O. Wright and Idora Beatrice Weaver Wright. Mrs. Holt had lived the greater part of her life in Polk County and was a member of the Antioch Baptist Church. She was a former employee of the Aragon Mill and retired from Zartic in Rome, GA. Mrs. Holt was preceded in death by her husband, James M. Holt, by a daughter, Kay Barber and by two brothers: Winfred Franklin Wright and Robert L. Wright. Survivors include two grandsons: James Payne, III and wife Renee, Rockmart and Michael Payne and wife Suzanne, Cedartown; one granddaughter, Ashley Barber, Rockmart; six great grandchildren and one great great grandson; a sister, Jacqueline Edwards, Lincoln, AL. Graveside funeral and interment services will be held Thursday, October 4, 2018 at 11:00 am in the Antioch Baptist Church Cemetery with Rev. Jeff Dabbs officiating. The family will receive friends Thursday from 9:30 am until 10:30 am at the Alvis Miller & Son Funeral Home. In lieu of flowers the family has requested that memorial gifts be made to the Antioch Baptist Church in Mrs. Holts memory. The Alvis Miller & Son Funeral Home is in charge of arrangements for Mrs. Doris W. Holt. To send flowers or a remembrance gift to the family of Doris W. Holt, please visit our Tribute Store. "Email Address" would like to share the life celebration of Doris W. Holt. Click on the "link" to go to share a favorite memory or leave a condolence message for the family.